27 Nov 2018 --- Carbery will be unveiling a new ingredient range at Health Ingredients Europe 2018 (HiE), beginning today in Germany, which targets the digestive health and active consumer segments. By combining the two trends of fermentation and protein, the new dairy ingredients, coined Bifipro, deliver a unique combination of high-quality protein with prebiotic promoting properties. The easily digested whey protein isolate (WPI) is produced using a natural fermentation process which uses a starter culture obtained from kefir grains. Produced with milk from grass-fed Irish cows, it contains all the essential branched chain amino acids (BCAAs) required for muscle growth and maintenance, making it particularly suited to active consumers. “Consumers are becoming more aware of the health and taste benefits of the fermentation process. At the same time, the staggering demand for high-quality protein is a major driver in the nutrition industry. We have combined these two megatrends to develop a versatile, effective ingredient that caters to the health requirements of today’s nutrition consumers,” says Sarah O'Neill, Marketing Manager at Carbery. “As an ingredient supplier, we work closely with our customers to identify emerging consumer needs and purchase drivers. We are responding to current trends by developing ingredients that can meet specific health and nutrition requirements, from protein fortification across a wide variety of formats to naturally produced fermented ingredients for digestive health,” O'Neill explains in the December issue of The World of Food Ingredients. Suitable for products targeted at consumers throughout their life, from infants to active adults and the elderly, the new range taps into growing interest in the benefits of a diet rich in high-quality protein, plus the holistic health benefits associated with enhancing a more positive gut microbiome. It is touted as being suitable for use in many ambient formats, including powders, ready to drink beverages and bars. 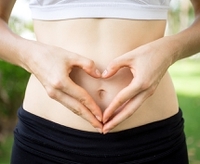 For active consumers, research supports the hypothesis that modifying the microbiota through the use of probiotics and prebiotics could be an important therapeutic tool. It is said to improve athletes' overall general health, performance, energy availability and in controlling inflammation, as well as enhancing the immune responses of fatigued athletes. Click to EnlargeIndeed, there is major untapped potential for prebiotic and probiotic ingredients in ranges suitable for sports nutrition and active consumers, Dutch Olympic Gold Medal speed skater and newfound nutrition entrepreneur, Mark Tuitert, told NutritionInsight last month at the Food Valley Sports Nutrition Summit in The Netherlands. “What I miss, sometimes, is the probiotics in a fermented milk format or yogurt, or a really natural product created without killing the bacteria or without pasteurization, to make them viable for an athlete, so that their gut system works better,” said the 2010 Vancouver Games 1,500 meter skating champion. Flavor will also feature heavily at the company’s HiE stand, as O’Neil emphasizes the importance of flavors among the modern consumer seeking unique experiences. “We will continue to see local flavors expand to having global appeal, for example, Latin American dessert flavors appearing in European sports nutrition products, or Asian fruit flavors being launched in beverage applications. Additionally, we may see more flavor layering, so for example from a strawberry and white chocolate flavor to a strawberry white chocolate and cheesecake flavor,” explains O'Neill to The World of Food Ingredients. At the show, currently taking place in Germany, Carbery will showcase a variety of high-protein concepts with ranging flavor profiles such as speculoos, iced coffee and tiramisu. The trending flavors were specially developed for protein applications by its sister company, Synergy Flavors. Looking toward 2019, O'Neill predicts that exciting flavor profiles will continue to draw consumers, as well as the changing profile of a typical consumer driving innovation in the marketplace. In this way, consumers are more informed and more demanding than ever, as well as having increased spending power and looking for unique experiences to be shared on social media, O'Neill notes. This informed consumer is leading to “an era of previously unparalleled innovation” in the food and beverage market. This may bode well for 2019 as Innova Market Insights’ number one trend for 2019 is “Discovery: The Adventurous Consumer,” which denotes increasingly adventurous consumers, set on discoveries and experiences.